The WSOP is once again offering a gaudy $10 million payout to first place. 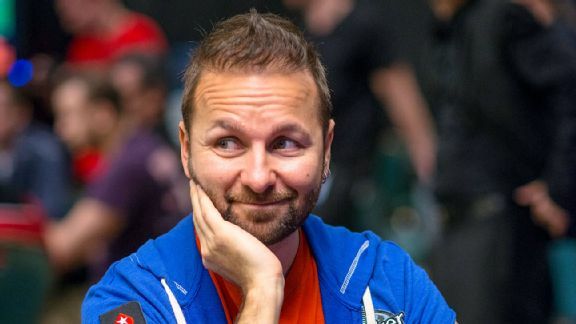 But Daniel Negreanu doesn’t believe that bigger is better…Speaking of bigger, players can’t stop talking about the “The Colossus.” And some have already predicted that this $5 million WSOP tournament will break some major records…Want 100% rakeback? Then perhaps you should consider the startup poker site Bitnplay, which we’ll discuss in this edition of the Weekly Flop. By far the most-exciting addition to the 2015 WSOP lineup, The Colossus will feature a $5 million prize pool and a $565 buy-in. This ultra-low entry fee is only a third of the $1,500 needed to enter the “Millionaire Maker,” an event that drew 7.997 players last year. Going further, $565 is the smallest WSOP buy-in for a bracelet event in 35 years. Considering how the buy-in is a recreational player’s dream, there are already some bold predictions being made about how many participants The Colossus will draw. Some on TwoPlusTwo have estimated that 12,000 to 15,000 players will take part in this re-entry tournament. The Las Vegas Sun reported that WSOP organizers expect over 13,000 participants. The current record holder for a land-based tournament field is the 2006 WSOP Main Event, which attracted 8,773 players. And while this was a $10k event with no rebuys, it would still be impressive to see The Colossus beat this record by over 4,000 players. Today, the notion of 100% rakeback is a perk that’s only enjoyed by those increasingly rare pros with a sponsorship deal. However, a startup Bitcoin poker site called Bitnplay is seeking to change this for those who make donations to their crowdsale effort. Set to launch in early 2015, Bitnplay follows the same path as SealsWithClubs, Breakout Gaming and Get Lucky Poker in that it will only accept Bitcoin transactions. However, their angle is that they are raising startup funds through the crowdsale site known as Counterparty. Anybody who donates two bitcoins will receive 200 tokens, which equates to 100% rakeback for life at Bitnplay. We’re assuming that this will eventually be a for-profit online poker site. But for the time being, those who believe in this site and don’t want to ever pay rake fees can get in on the ground floor at Bitnplay.